It’s clear that the use of mobile technologies is rising globally and an increasing number of people spend time glued to their tablets or smartphones. Wearable devices are also becoming a prominent part of the mobile scene and are expected to soon transform the mobile experience of consumers. As Google recently tweaked its algorithm to focus on mobile-friendly search, more and more companies are starting to optimize their content and online practices for mobile expansion. 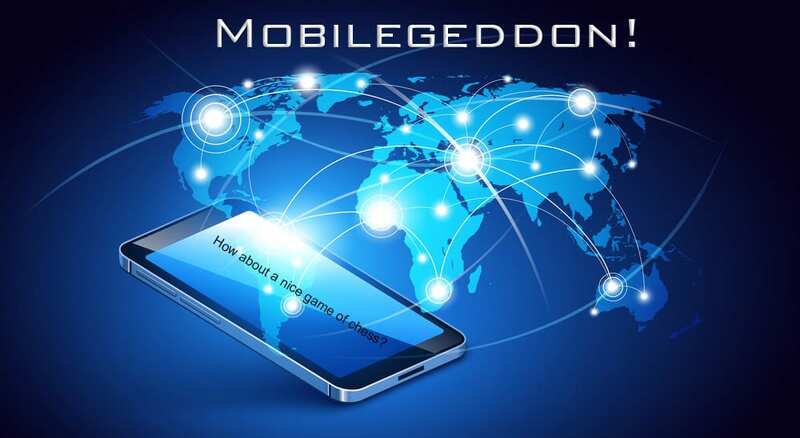 The ensuing panic or so-called Mobilegeddon is mostly related to the fact that not many marketers understand how SEO works in mobile environments. Here are some pointers to help you integrate mobile into your SEO strategy in 2015. Search Engine Land recently unveiled that 62% of organic searches show completely different results on desktop and mobile devices (http://searchengineland.com/mobilegeddon-today-3-ways-take-mobile-friendliness-next-level-218628). Such a considerable discrepancy is bound to make you think about your keywords – to make sure that your mobile website is serving the right audience, track your mobile keywords, understand them and implement them in your SEO. You can do it with Google Webmaster Tools, which track and document keywords trending for your website. When searching on mobile, users usually have a local intent – looking for a pharmacy, they usually search for a pharmacy located close to their current position. If your business has local elements, this is your opportunity to leverage this habit and optimize your mobile website. Just consider what kind of information mobile users usually search for. It can be opening times of a store, price and availability of a product or the exact location of a business. Google algorithms respond to this need by rewarding websites with the most relevant data on optimized sites. Once you understand the intent of your audiences when searching for your products on mobile, you’ll be able to choose better keywords and include correct information in your content as well as metadata. Mobile must-haves are full company address, detailed contact information, company name and opening hours – make sure to submit all this information to search engines as well. Bing Places, Yahoo Local or Google Listings are all great options. A website that functions properly and brings value to users will rank high in search results. Have a good look at your website to detect content, forms, pages or navigation elements that can cause confusion and deal with them. Make sure that your content is easily readable without the need to zoom in and out constantly. Scrolling should be vertical, never horizontal. Form submissions have to be kept short and to the point – users won’t be able to fill out long forms on the go. Finally, navigation should be smooth and intuitive – buttons need to be big enough for large fingers. To make sure that your SEO efforts pay out, keep tabs on what users are saying on social media, in blog comments and perform online feedback surveys to learn which information on your website is really useful. Have a look at the most popular entrance and exit pages in Google Analytics to identify those that need optimizing. Remember that mobile devices have their limitations – slower internet connection, short battery life and slower computing power. Take all these into account when designing your website – in fact, performance should be your single most important factor. A great website provides answers to user queries and at the same time doesn’t put too much stress on their devices. From using images of smaller size to lower quality videos, you can control the amount of data required to load the content. Don’t go overboard here – some users accessing your website might have faster internet connections and their experience has to be top notch. If you offer a download that might be too large for mobile users, make sure to provide various options for download like mid- or low-quality. The choice should be up to your audience because they’re aware of those limitations and will appreciate how you attend to the needs of visitors using different kinds of mobile devices. It’s clear that Google needs to know that your website is optimized for mobile – crawling your website, Google spiders will detect snippets of code that identify your website as either mobile-friendly or not. There are many different ways in which you can make sure that your website is classified as mobile-friendly – there’s responsive design, dynamic design or simply a separate URL for users accessing the website from mobile devices. How to choose the right design? Responsive design – for all its advantages and drawbacks, from the SEO perspective responsive design is a nice option. Google will crawl your content without you needing to write any additional code – all that matters now is the viewpoint you set for your users, which is most of the time included in the code once you set a responsive theme or template. A properly set viewport will render your website flawlessly on mobile devices working on different operating systems. Responsive is a design Google actually recommends. Dynamic – this design simply renders different content to desktop and mobile users. If you’re using this type of design, Google will need to be notified since it cannot easily detect it on its own. To make sure that Google knows that you’re delivering a mobile-friendly experience and optimize your dynamic design for SEO, just add the Vary HTTP code to the header of your website. This code will inform users’ devices that the website should be loaded in accordance with their specifications, helping Google to find your optimized content. Separate – a separate mobile website involves a lot more work for SEO and its complexities are rendering this option slowly obsolete. Google won’t be able to assess whether the website is mobile-optimized or not, so the main job for SEO specialists is to make sure it does – for instance, by using annotations on desktop webpages and canonical tags on mobile pages. If you’ve got a large website with lots of content, prepare for some hard work ahead or simply choose a different option. Once your design is ready, you should test it with various tools to make sure that it’s really mobile-friendly and its performance is top notch. Testing is the single best solution for determining which SEO strategies work best for your business. Have a look at Google Mobile Friendly Checker https://www.google.com/webmasters/tools/mobile-friendly) to perform a quick test, see how Google views your content and benefit from the platform’s suggestions for improving errors. Google SEO Test (https://developers.google.com/webmasters/mobile-sites/mobile-seo/) is a comprehensive resource to help you notify search engines of your mobile website or avoid common mistakes while implementing your mobile-friendly design, guiding you to provide the best mobile experience for multiple devices. FeedTheBot SEO Kit (https://www.feedthebot.com/mobile/) is perfect to diagnose mobile issues on your website and direct you towards the best practices and how-to articles for tackling the problem of SEO for mobile. In 2015, SEO for mobile will become an absolute must of every business – especially those that have local elements. Even if search engine optimization sounds complex and technical, it’s a step-by-step process that will help you to improve the visibility of your website in search rankings and boost user experience in mobile environments.